December 2016 - Pebbles, Inc.
Hello Pebbles Friends! 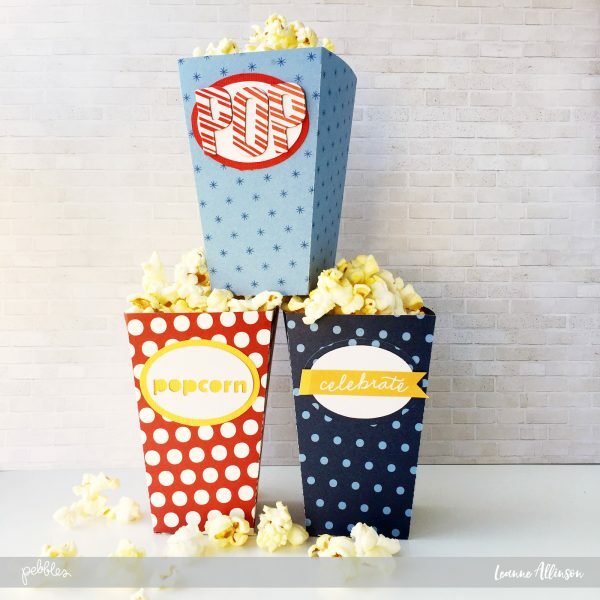 It’s Leanne here today, sharing a fun gift giving idea for those who love to sit back and enjoy their favourite movie! 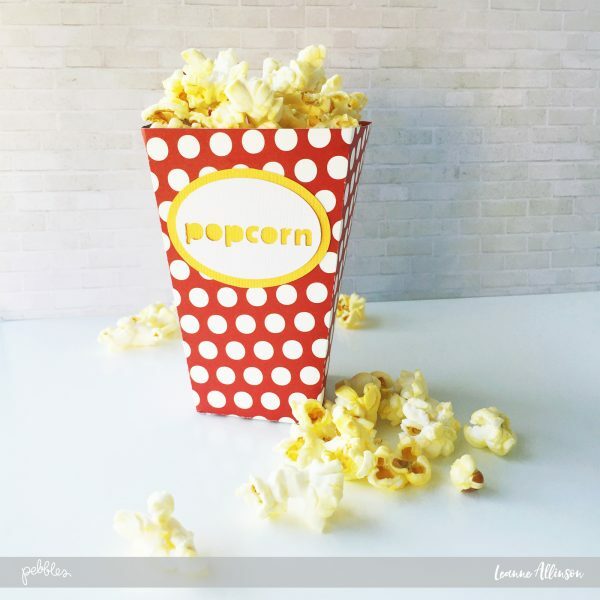 In our household we love to have regular movie nights and have been known to occasionally have a movie marathon or two while we are all on holidays! Right now my children are on Summer break and in the cool of the air-conditioning, they are relaxing with all their favourite flicks. It is one of our favourite destinations to spend time as a family and we don’t even mind that we stay within the comforts of our own home. These holidays, I thought I would help them celebrate, with a cinematography experience we all enjoy.. 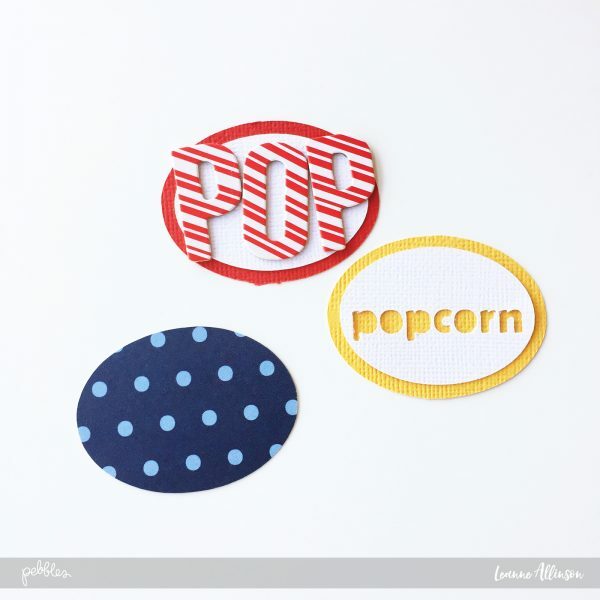 Popcorn! 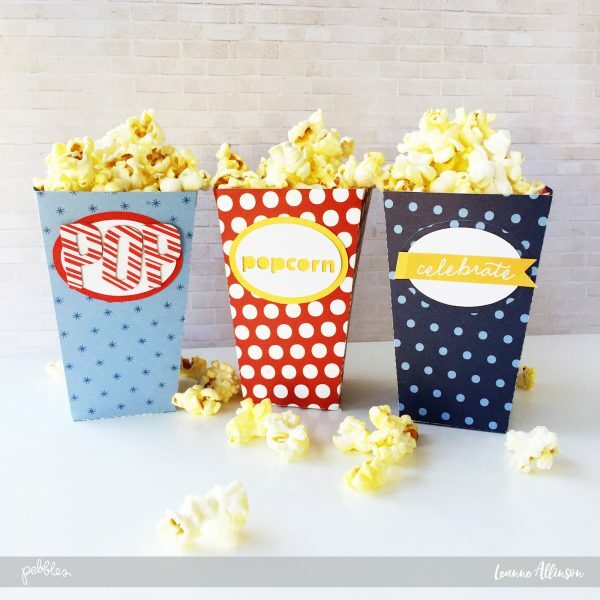 Making our family together time just became more fun with these cute little popcorn boxes. 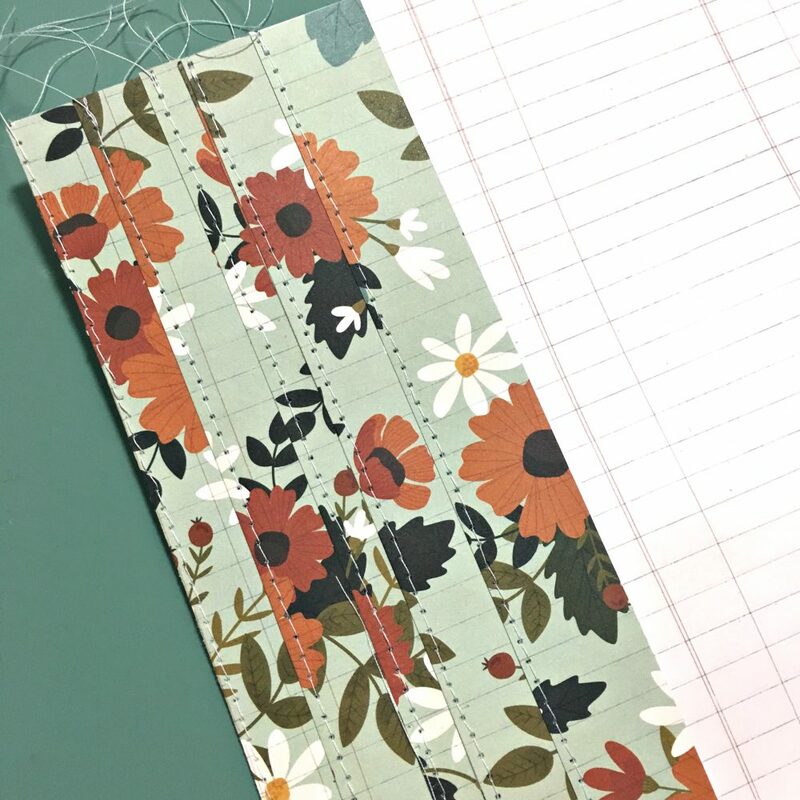 I started with choosing which paper collection I wanted to use. 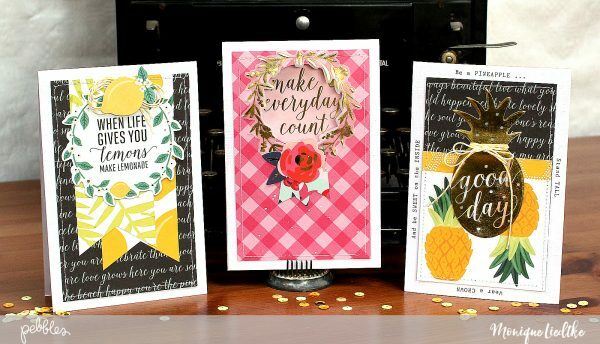 The America the Beautiful collection teamed up with crisp white and primary coloured cardstock, works perfectly for most styles of movie genre. Next, I found a free template online and used it to create my base boxes. 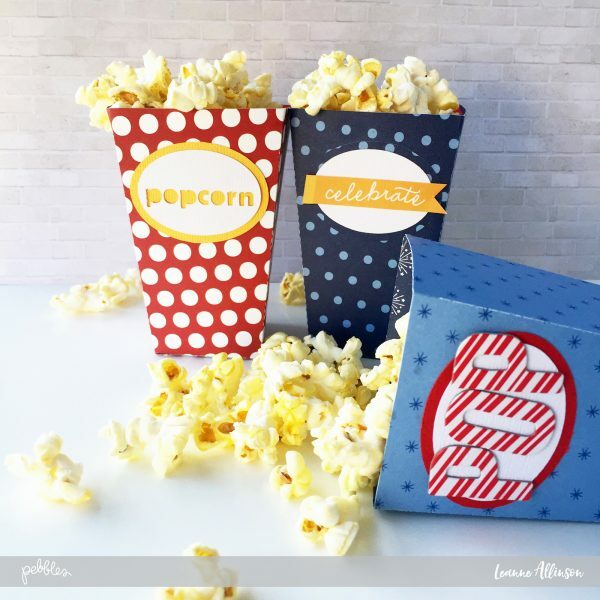 Alternatively, you could always carefully open an existing popcorn box and trace around the outside edge, creating your own template. Either way works fine. 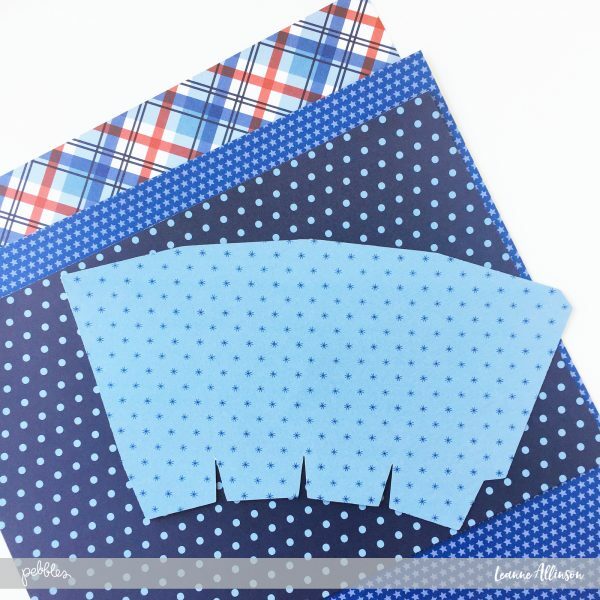 Follow the template instructions and fold the boxes along the score lines. 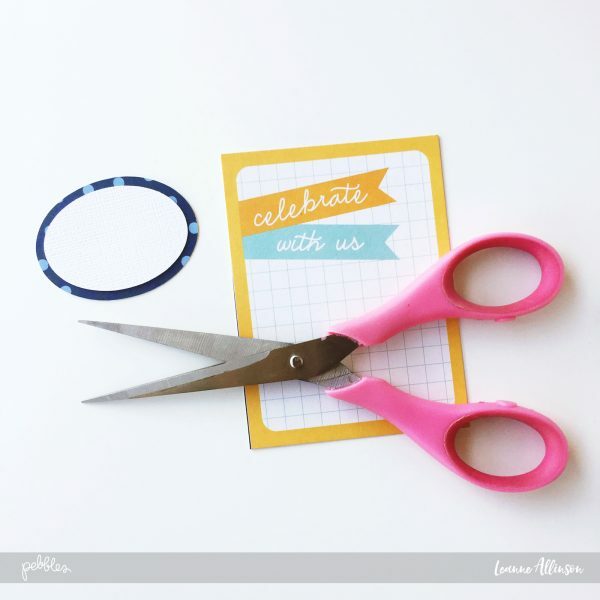 Secure with double sided tape. 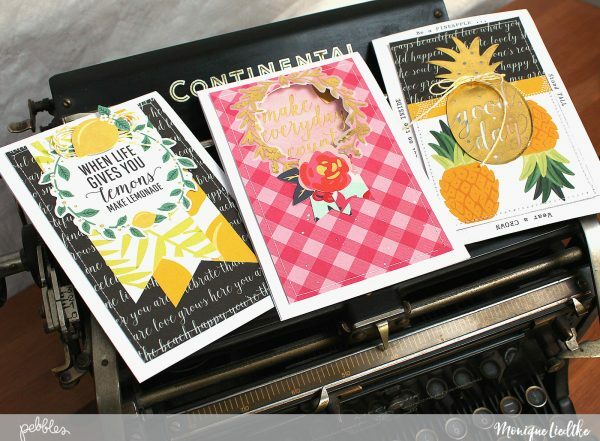 To create the labels, simply cut/punch two (2) oval shapes, one slightly larger than the other. 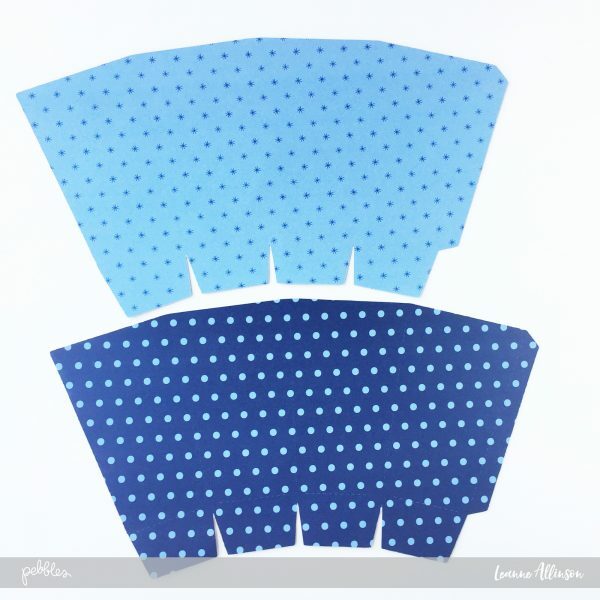 These ovals can be cut from patterned paper or cardstock. 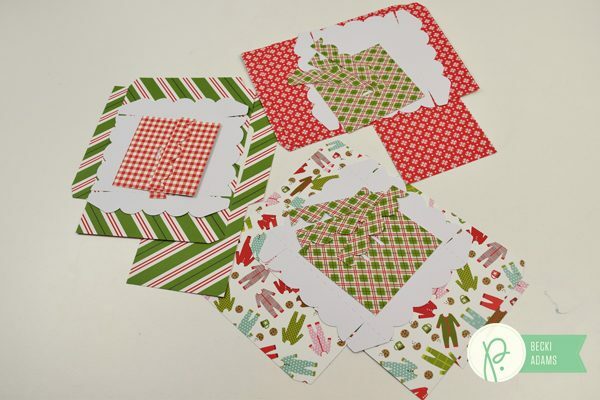 Layer the smaller oval on top of the larger one and secure with adhesive. 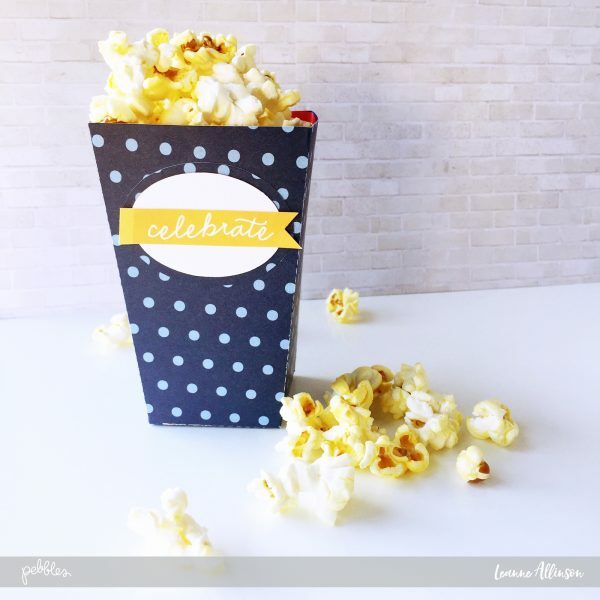 You can add a personal touch to your label by adding the gift recipient’s name or as I have done, words like “popcorn” (created with an electronic die cutting machine), “pop” or “celebrate”. 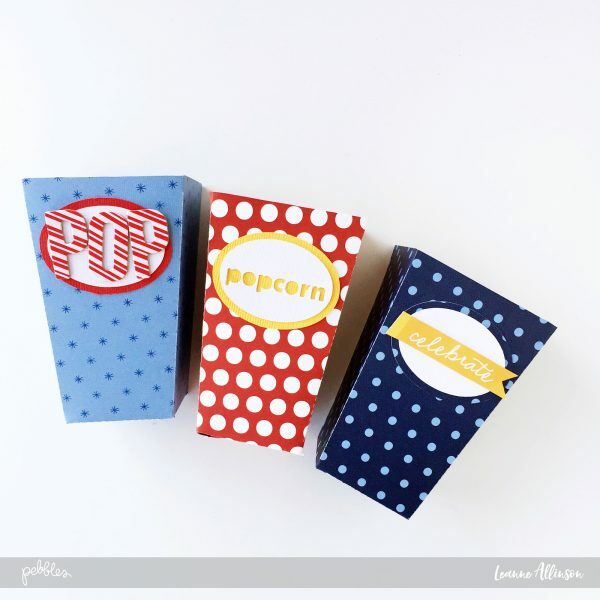 Add your labels to the front of each popcorn box and finally fill your finished project with your favourite flavoured popcorn! Now you can curl up on the couch with your loved ones, enjoy taking a break and treat yourself to some yummy snacks. Hi Pebbles friends. 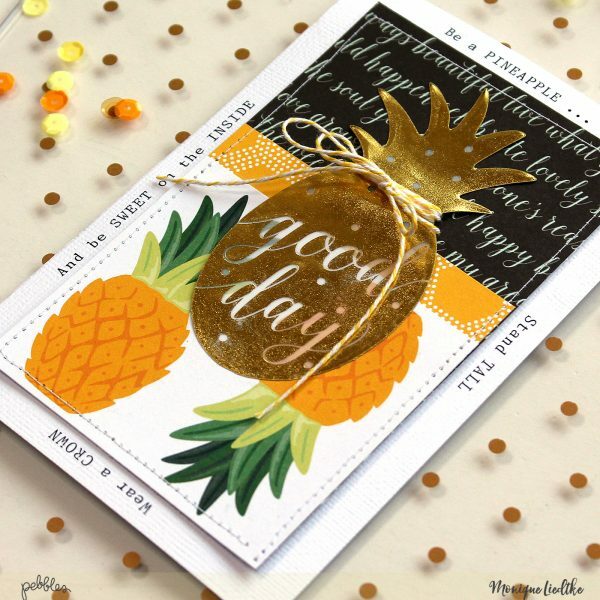 Heather Leopard is here with a layout featuring one of my favorite phrases. 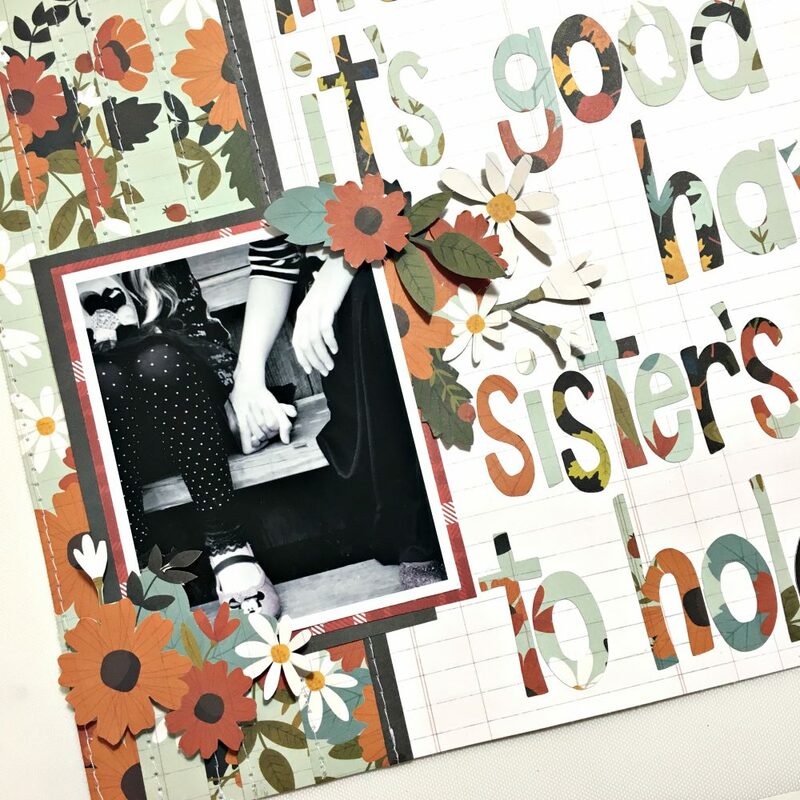 This one is about the special bond between siblings, specifically sisters. 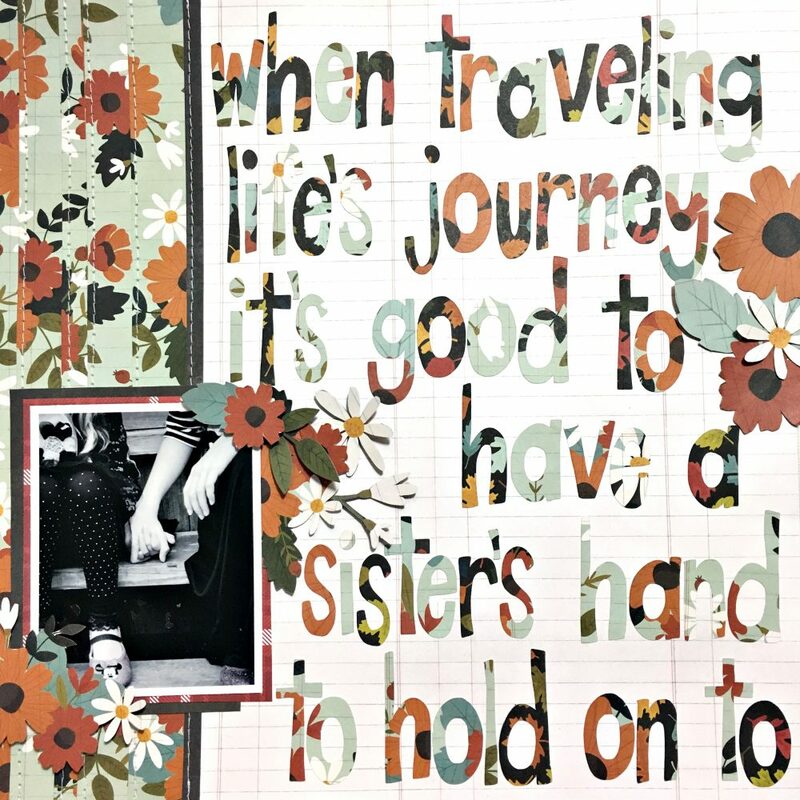 While I don’t have any siblings myself, I see how much these two adore each other and I just fell in love with this quote. This quote means so much to me. Obviously about their bond but also about my hopes and dreams for them, that they will be each other’s rock as they share life’s adventure. I chose to dominate the page with the quote and a single black and white photo zooming in on them holding hands. I will walk you through the steps on how to recreate something like this. 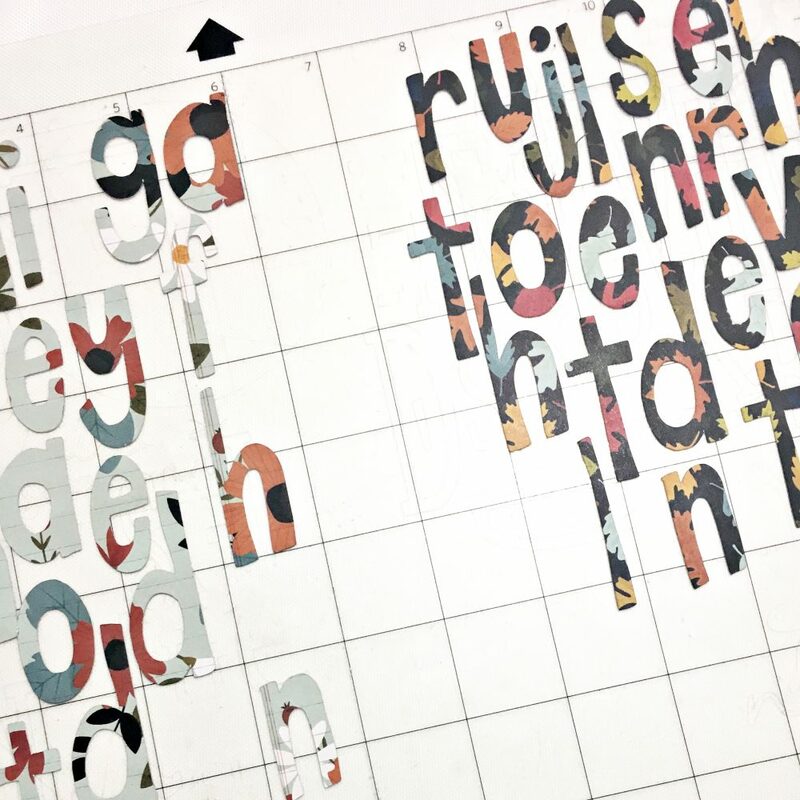 I knew I wanted to use a large phrase but I also knew I wanted some sort of grounding factor to it so I stitched layers of the same paper to the left 1/4 of the page. I also sewed a small black border (not pictures). 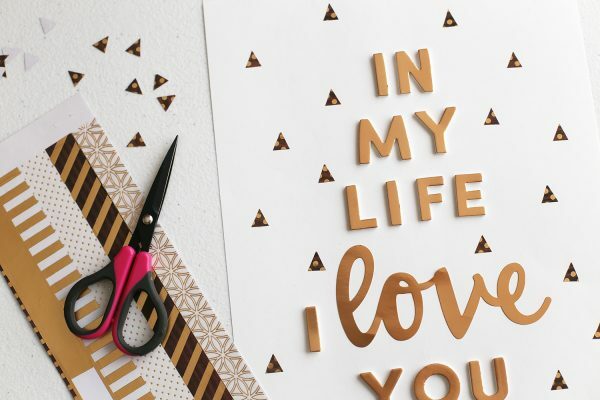 First, select a phrase and then cut the words. 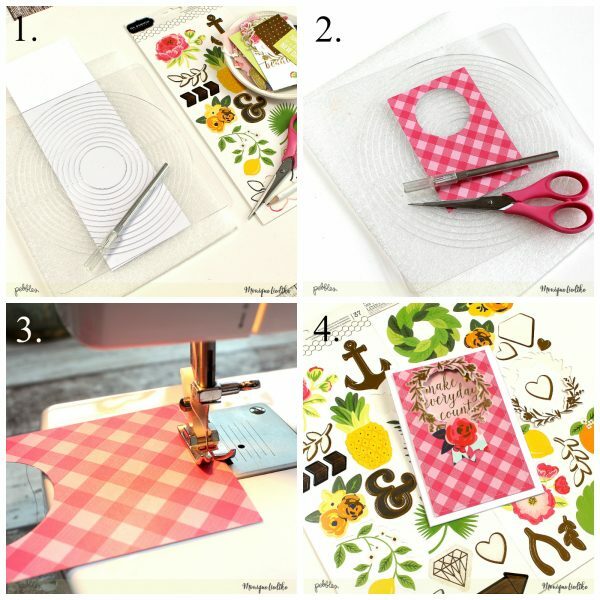 You have many options – hand cutting, die cutting using dies or your electronic cutting machine. I chose the latter. Just type your words in the software. Since I had the border on the left side of the page, I drew that out in the software so that I’d know just how big or small to make the letters. 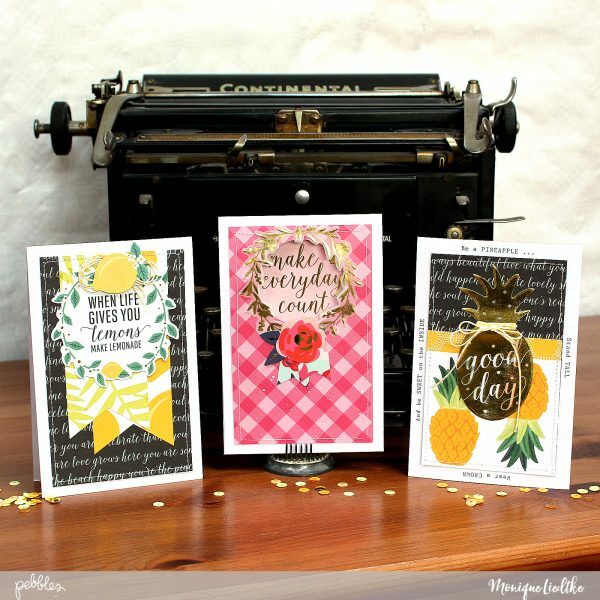 Once I liked the size, I cut the letters out of three different patterned papers. Next, adhere the letters to the background paper. 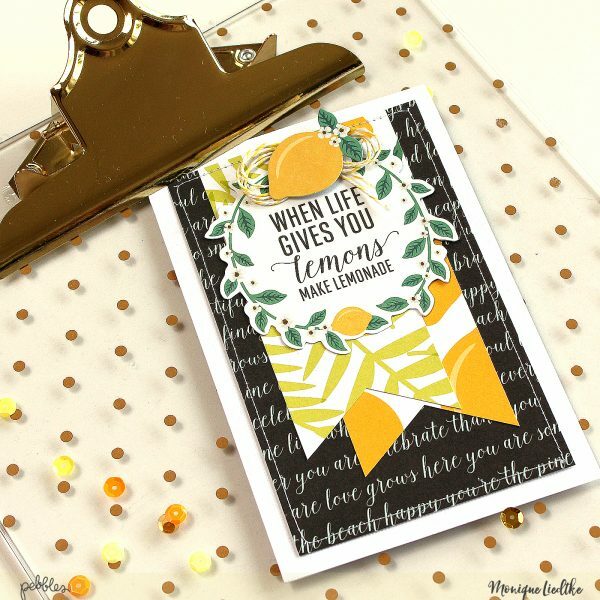 Make sure to leave room for your photo, embellishments and journaling, if you want to add additional comments. 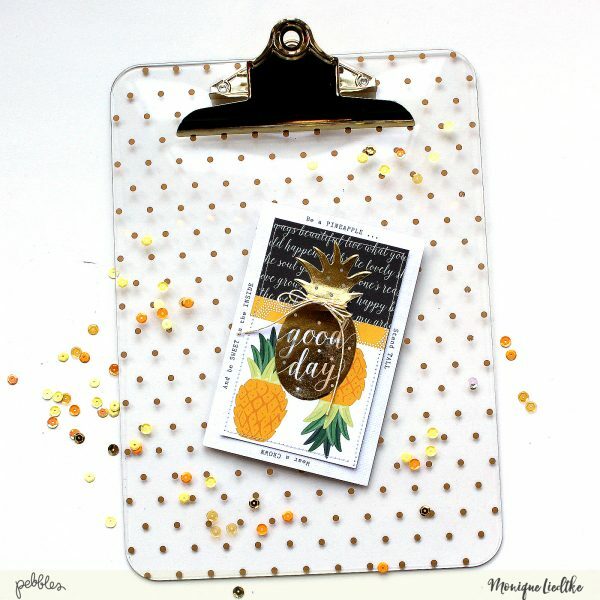 I added little flower clusters around the page and the photo. I just fussy cut flowers that fit int he space I had available! 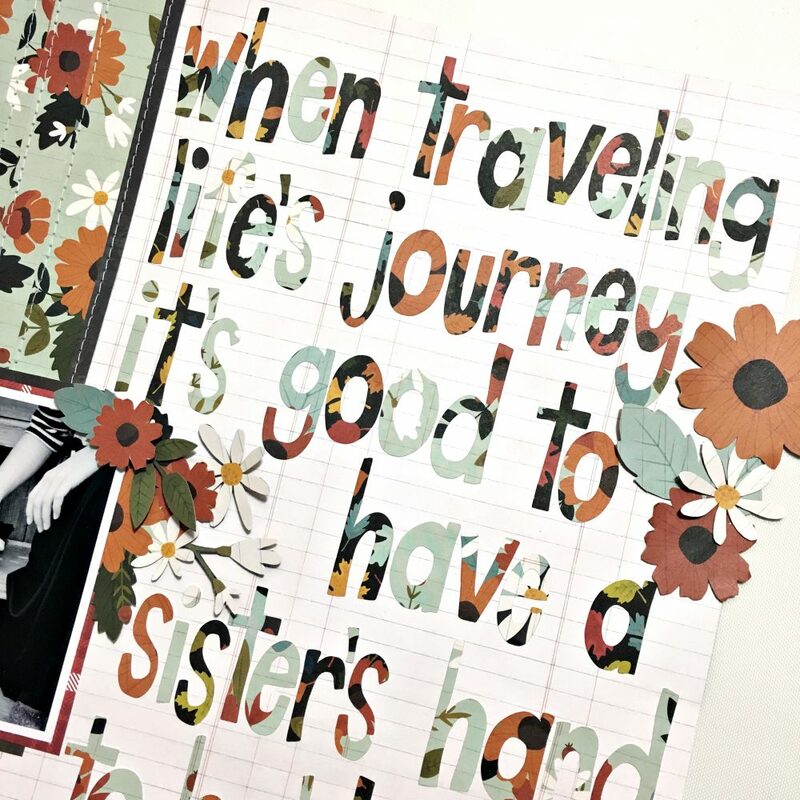 Some of the embellishments were tucked behind the layers and photo while others were adhered with foam squares for added dimension. 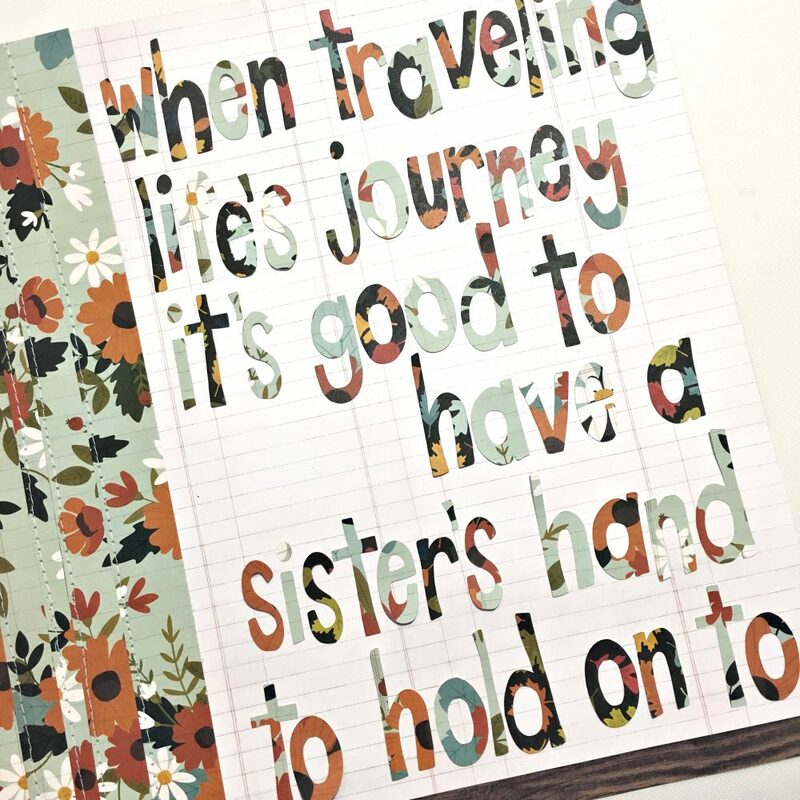 So there you have it – a favorite quote of a favorite photo of my favorite girls. Now I will add just a bit of journaling and the date to finish it off. Hello everyone! 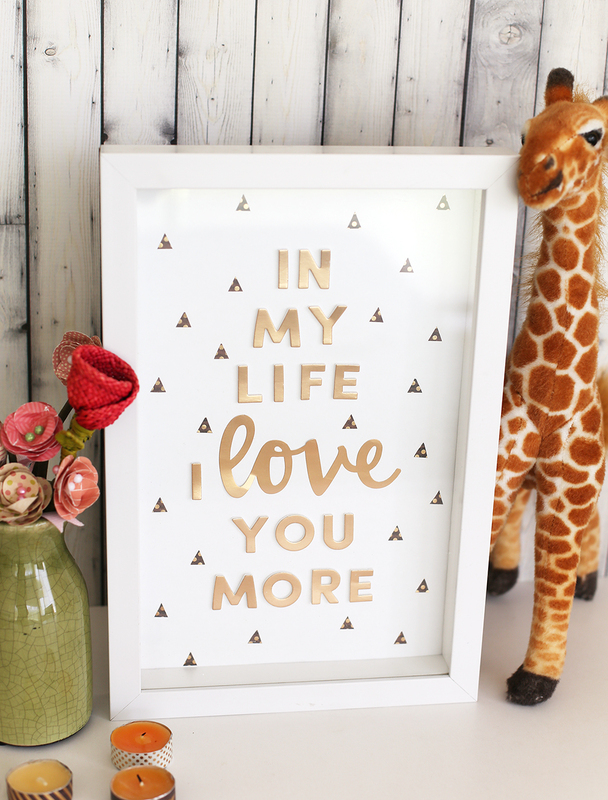 It’s Eva on the blog today sharing a quick tutorial for a home decor for your baby or child. I really love the rose gold accents from the Warm and Cozy line and thought a word art frame would look lovely on my son’s room. This quote is from a Beatles’ song and reflects exactly how I feel about my baby boy. 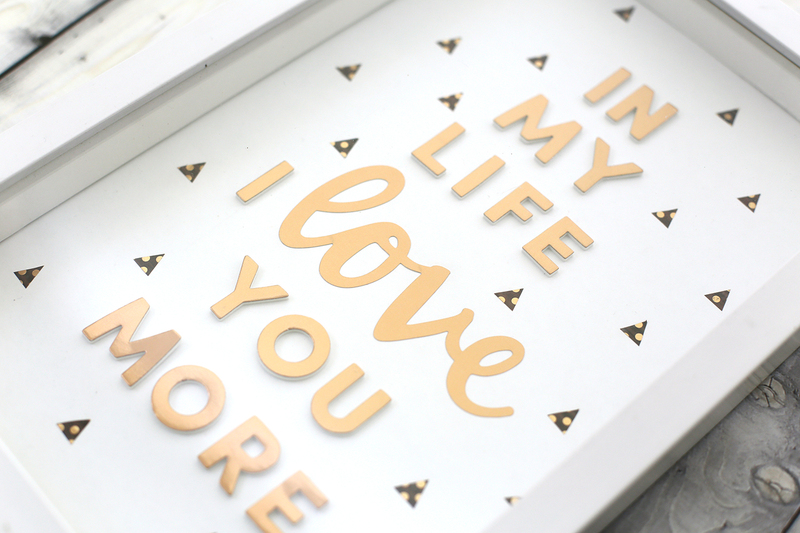 To make a word art frame, measure your frame and use white cardstock to cover the base. 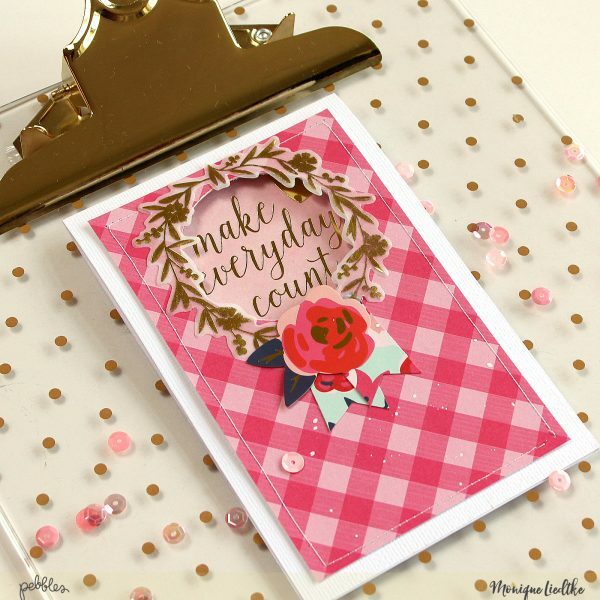 You could also use a patterned paper with a subtle pattern. 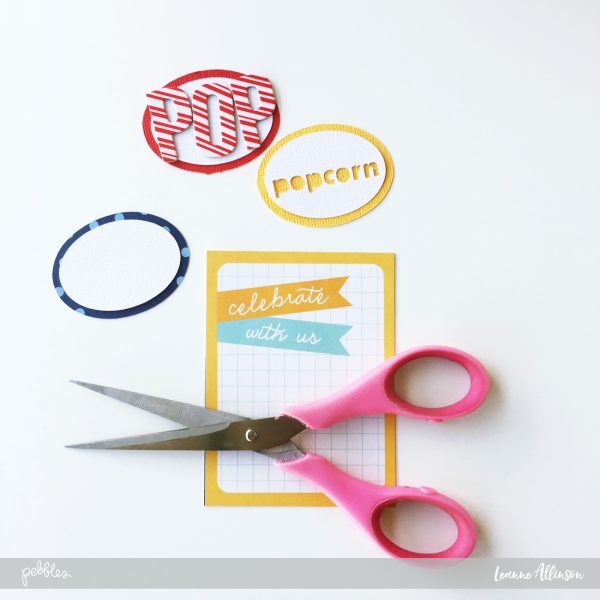 Use your alphas and stickers to spell your phrase. Mix fonts to add interest to your decor. 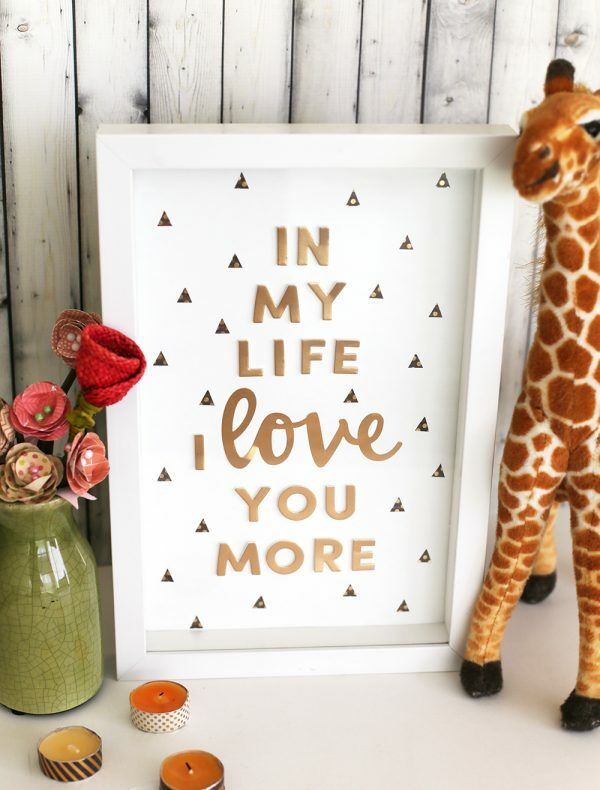 To decorate the background of my frame I used washi tape. 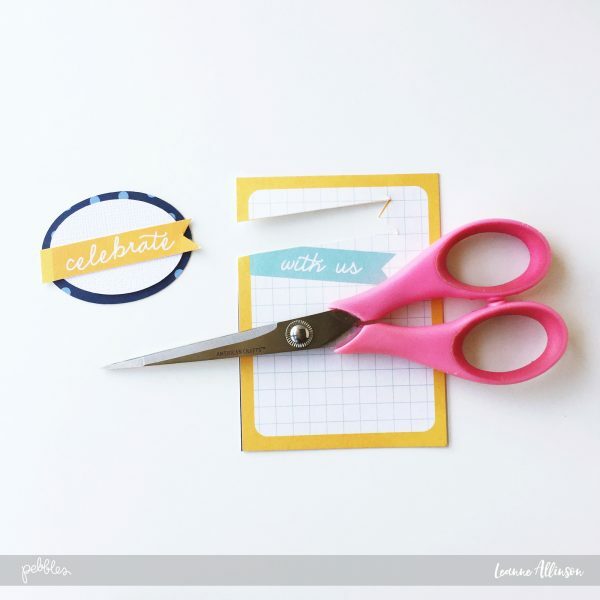 I decided to cut small triangles with my scissors but you could also cut some shapes with a small punch. Remove the back and adhere to your page. And here’s my finished piece, ready to be hung on my boy’s bedroom! 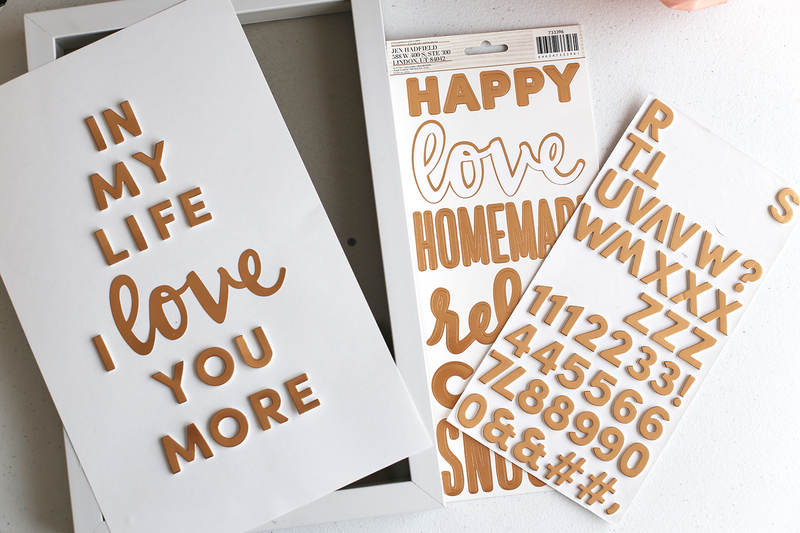 This two fonts pair beautifully and I love the subtle shine of the rose gold letters! 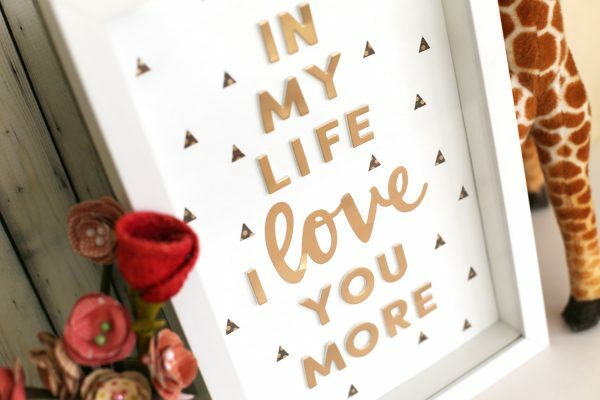 Do you love to use your scrapbook supplies to make home decor objects for your home? 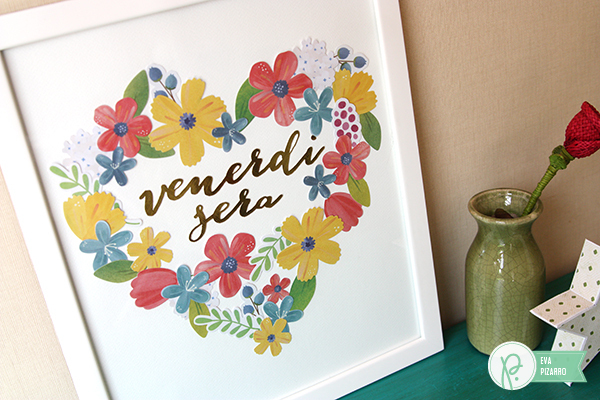 Check out this cute frame I did some time ago using only a floral Ephemera Pack. Hey Pebbles friends and fans, Becki here. 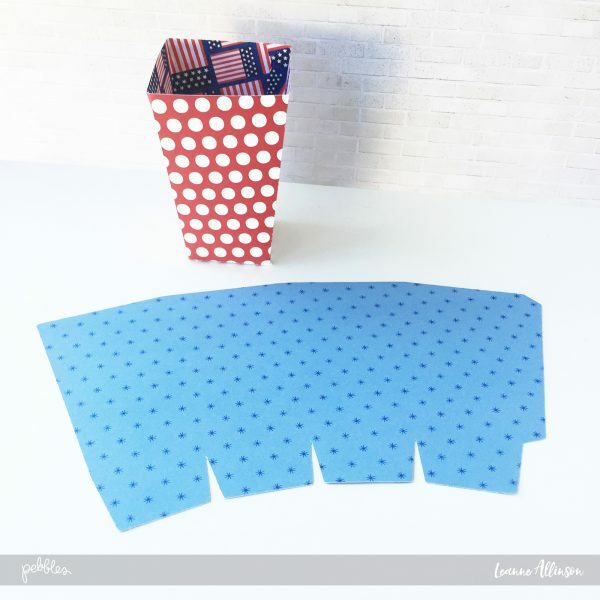 If you have a few die cuts and a few patterned papers from the Holly Jolly collection you can have easy DIY cookie boxes made in just a few minutes. 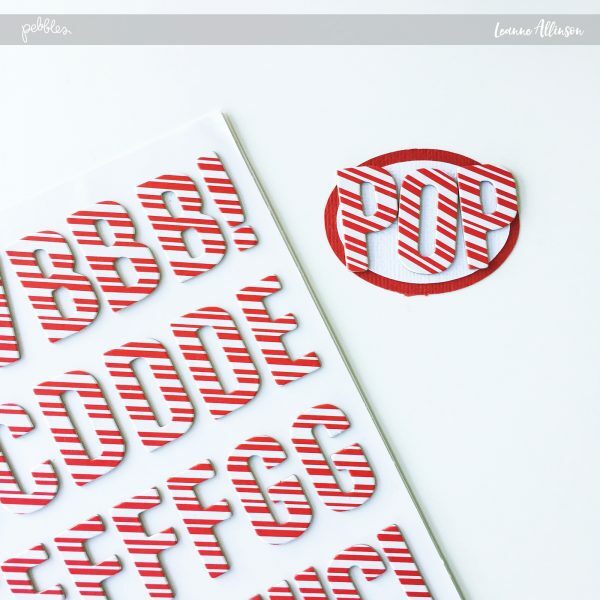 I started by gathering a few of my favorite patterned papers from the Holly Jolly collection. 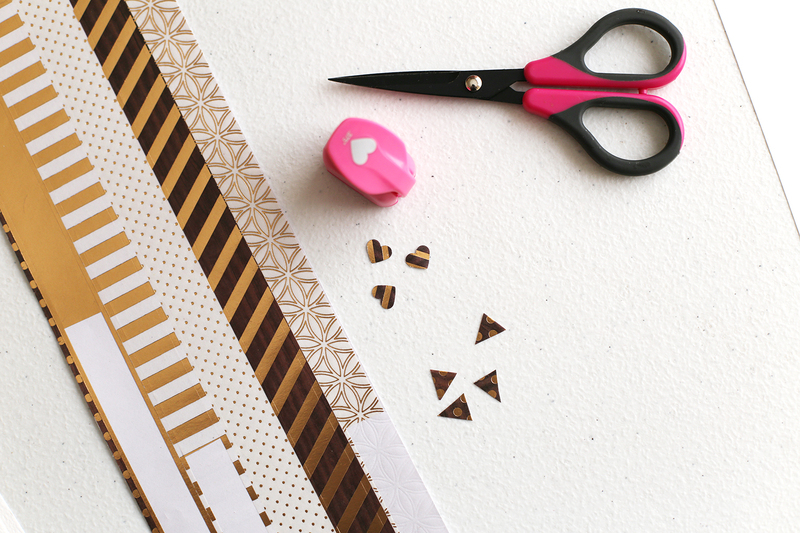 I grabbed two of each patterned paper for each box and one additional patterned paper for all the lids of the boxes. 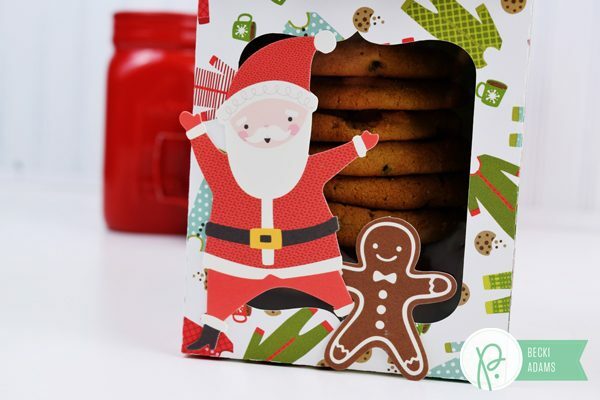 I ran each of the patterned papers through my electronic die cutting machine to cut all the pieces for the cookie boxes. It only took a few minutes to cut all the pieces. Assembling the boxes was really easy and once again, only took a few minutes. It took longer to bake the cookies than to make the boxes. Make sure you use a strong adhesive when assembling the boxes. 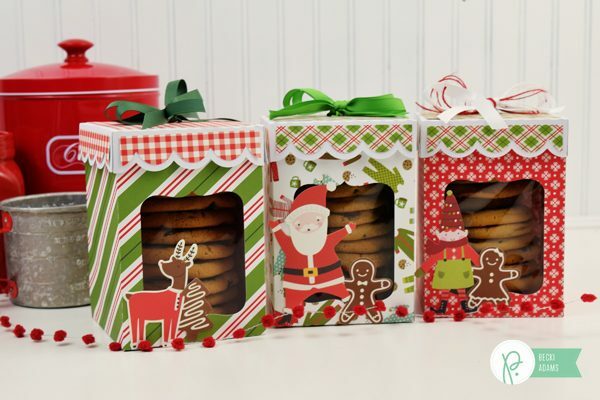 You want to make sure that the boxes stay together when they get filled with cookies. 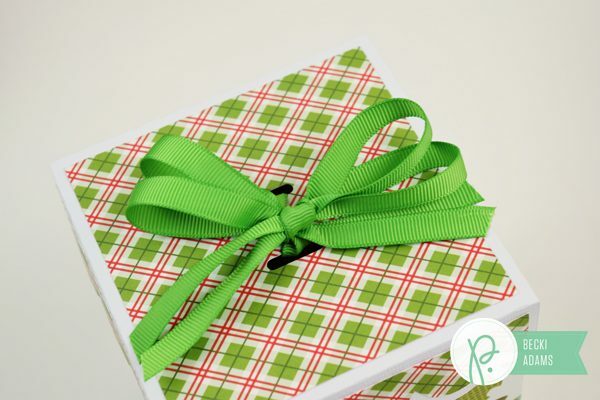 On the lid of each box I tied a bow with two strands of coordinating ribbon. I used two strands of ribbon to make the bow a little fuller to accommodate a large box of cookies. Each box holds approximately 12 cookies (depending on the size of cookies). I just LOVE how these turned out! I can’t wait to share them with our friends and neighbors on Christmas Eve. 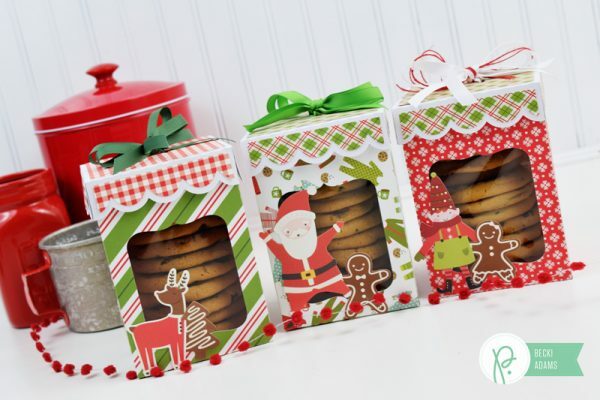 Don’t worry, you still have plenty of time to create your own easy DIY cookie box. It’s a great last minute gift! Merry Christmas friends! !